I was born in Brazil to a traditional household with 3 older brothers. The women often stayed at home to cross-stitch, find a husband, take care of the house, watch the kids, or work as a primary teacher. Meanwhile, the men took care of their farms or worked in businesses. I never accepted the typical role of women in my society as I grew up because it didn’t ever cross my mind as something extraordinary. Though this was the reality of my upbringing, I quickly learned that I was much better at math than knitting or cross stitching. I decided to further pursue studying and use education as a platform to learn as much as possible. With the trust of my father, I left home at age 12 to study away and eventually ended up getting a degree in Business Law and Administration from the second best law school at the time in brazil. I met some of the smartest people in my entire life at this University which inspired me. I also studied Business at Stanford where I also met intelligible students. I am a lawyer and furthermore a businesswoman. I have always been fascinated with business and formed great relationships with the bosses I worked for before I launched my own business and learned a lot from them. 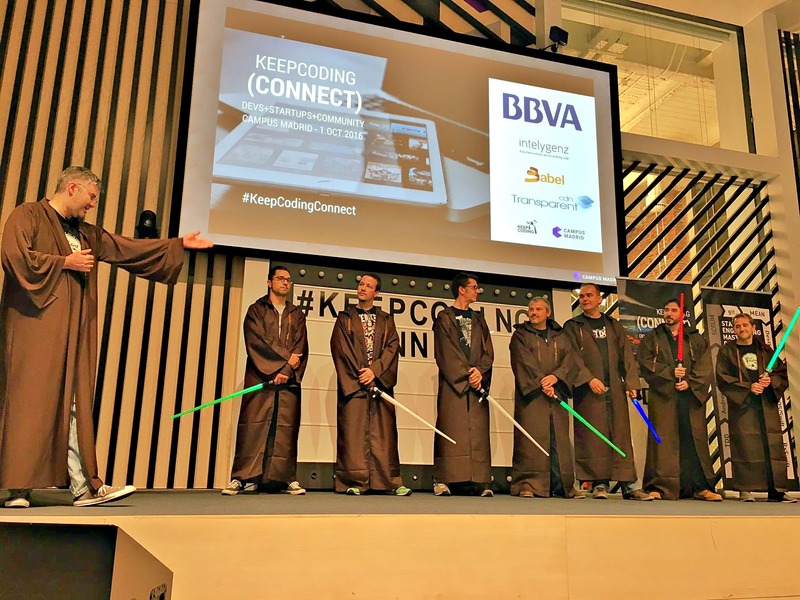 KeepCoding is a programming school and accelerator for programmers. We wanted to create something similar to receiving an MBA in coding. We are a center of excellence and focus on delivering high-quality products to our students. What inspired you to start KeepCoding? California and the story of Levi’s jeans where the creators behind selling the jeans during the discovery of the gold rush were brilliant because Levi’s jeans entered the market at such a crucial time and made more than those who actually found gold and that has inspired me a lot. Similarly, I saw a great opportunity to enter the programming market to inspire and change the dreams of others. “Keep Walking America” from the Whisky brand helped me come up with our company name. Essentially, behind the persistence of programming, if you don’t know what to do, just program more and you will figure out your path… this is the meaning behind KeepCoding. Likewise, we had an unemployed student who took one of our courses and shortly after uploaded 5 apps to the app store and eventually got hired. I pride myself in knowing that we helped him land a job and he was able to apply what he learned with us to the real world. What was it like for you to start your own company? It was a natural process. I wanted to change certain elements from previous jobs I had worked and I took what I liked in order to create my own. Crazy, haha. I review over 200 emails a day and I reserve the mornings to concentrate on that. The difference between being an employee and entrepreneur is the increased responsibility of work. What is your favorite part about running KeepCoding? Testimonials from the alumni are my favorite part. I love to know that I have made a positive impact on someone’s life. 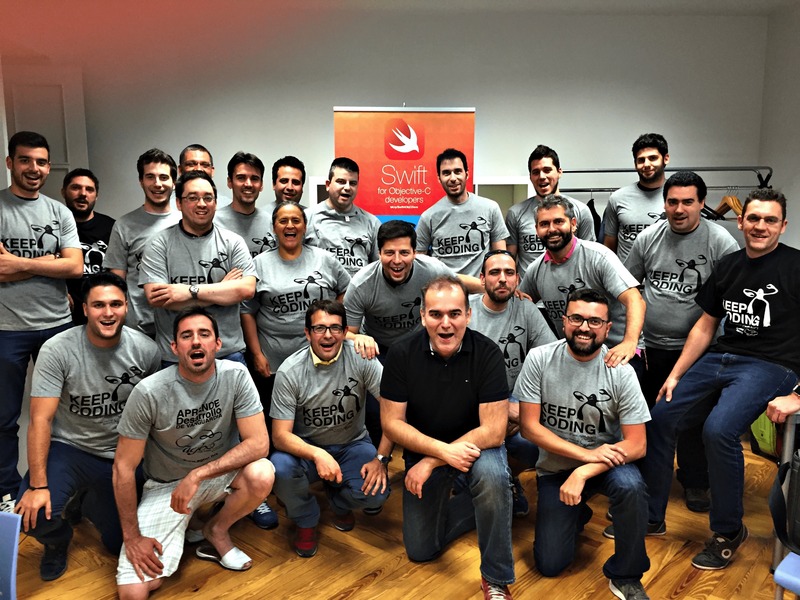 KeepCoding alumni from one of our iOS Swift courses. What is your least favorite part about running KeepCoding? The constant responsibility to make sure the growth of the company is coming to life. You can barely relax mentally. How do you spread the word about your company? We do thousands of different things. Doing interviews like these is one way. I think the best form is mouth to mouth and to do a good job and have an alumni recommend you. Is there anything on the rise for KeepCoding? Growing the Latin America & US markets. Our style is very boutique and gourmet. The biggest challenge is to scale it without losing its quality. How do you keep yourself feeling confident? I had a colleague who had a lot of personal problems and who was depressed because of everything going on in her life; she felt overwhelmed. I feel stress all the time every time. It’s like a muscle, you have to exercise it every day with positive inner thoughts. It’s important to realize I can control my thoughts and not let my thoughts control me. “Every day you have to do it” is my motto. Finding that inner motivation and determination is what keeps me feeling strong and confident. It’s also knowing that everything has a solution and it’s a question of finding it. How do you balance your work life and your personal life? There’s no balance haha. You must do both and there is no choice. The things I do try to do is preserve my weekends for me and family time, as well as remember I can respond to business agenda’s on Monday. What was the most valuable thing you got from your Accelerator experience? I met incredibly inspiring and intelligent colleagues, mentors, and business leaders such as Phil Libin, the former CEO of Evernote and Bill Joos, an Independent Management Consulting Professional. It was life-changing. What was the most surprising? What surprised me the most was the cohesiveness of our group and the collaborative environment that allowed us to grow personally and together. I’ll never forget staying up until 2 am to rehearse our pitches in front of each other during the last 24 hours of the course so that we could all give it our best shot the next day. What is one piece of advice you would give to a woman who wants to start her own company? Start it. Stop planning, dreaming, and just sit down and do it. It’s going to cost a huge portion of your life – not financially. If you are ready, then start it. It’s going to be mentally challenging. Keep walking, Keep coding, Keep doing it every day. The persistence factor is so important and that’s the secret. It doesn’t matter if your competitors or colleagues are more or less intelligent than you. The difference is the persistence. KeepCoding tries to translate that mindset to our students. Is there anything else that you would like to share with us? Like a fun fact or a favorite quote? I love traveling and eating. Being an entrepreneur gives you freedom but it’s a challenging kind of freedom. After picking up my son from school, I have to continue working after I’ve put him down for sleep. However, I love having the liberty to do whatever it is I want within means. For example, I’m about to leave the office at 5 pm to pick up my son. The thing I most enjoy doing is spending time with my son and it’s so gratifying to see him grow and to be a part of his life. I often think to myself “What’s going to be important to me when I’m 80 years old?” I will always remember every moment of raising my child. Both the good and bad times. My favorite hobby is my work. I always have a clear idea of what it is I am going to dedicate to the business. I much prefer to work on KeepCoding over sports or other hobbies. Accepting applications for July Accelerator!! 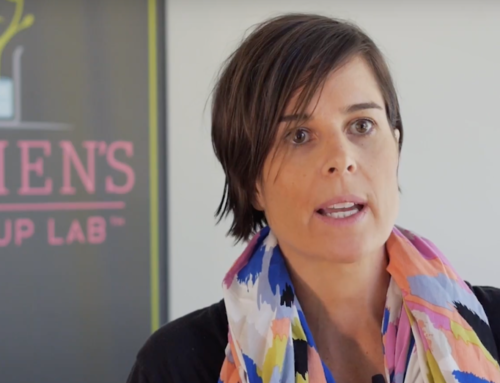 Women’s Startup Lab Leads The Pack Again! 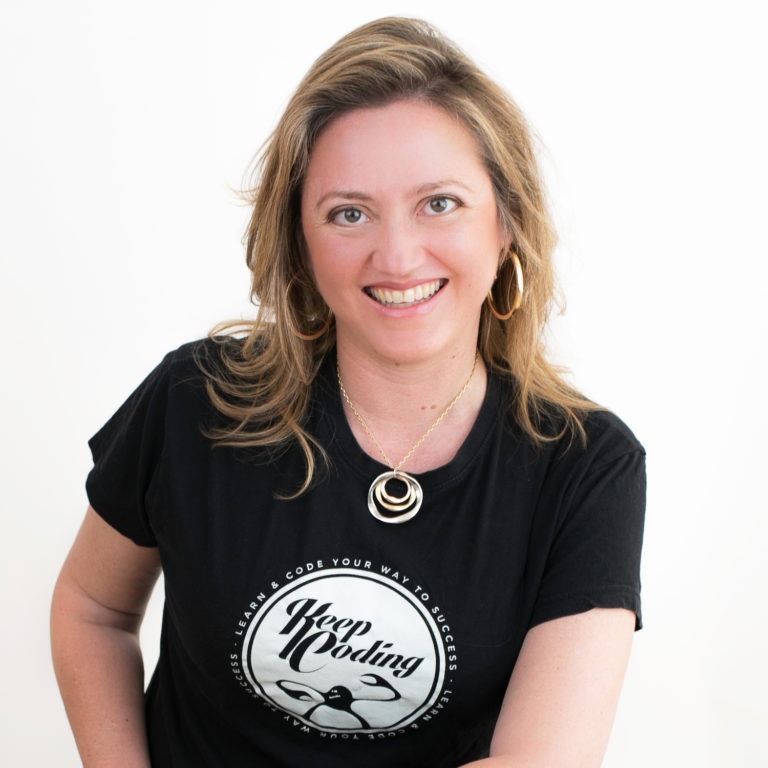 Introducing Sarah Worthy, Founder Of Door Space Inc. Introducing Chrissa McFarlane, Founder & CEO of Patientory, Inc.